Congratulations, you have finished your race!! Remember, regardless of your training regime the act of racing, especially distance races are a large stressor to your system. Your body will adapt to, and become stronger from, that stress with and only with adequate rest and recovery. A post race recovery regime is so often overlooked and by far the most important component to smart training, racing and injury prevention. Practicing patience directly after your race by implementing proactive race day recovery tactics, adequate rest, followed by easing back into training maturely you will feel up-to-snuff after your race sooner, you will one-up your fitness coming back stronger from your race to move towards an even fitter version of yourself!! To the contrary, with inadequate rest and recovery you can very, very, easily get knocked down and, even worse, injured. Be proactive! Plan for your recovery regime beforehand. It is well known that your immune system is compromised directly after distance races. Bring a change of clothes (many races have drop bags/bag checks) with a change fresh clothes as your body temperature often will plummet as blood rushes quickly to the organs that your body involuntarily ignored during your training and racing. I find even in the summer months I am cold after a race. Also, bring some comfortable sandals or any loose fitting shoes to change into. Pack some face wipes, band-aids, and polysporin to apply to any chafing or exposed blisters. Prevent blood pooling and limb swelling – dabble in the flood of compression gear out there. Especially for long distance races this keeps your circulation in check and helps to prevent blood from pooling. Keep moving, try to walk or jog it out keeping your body moving dynamically, gently stretch out any kinks you feel you can. If there is a water way near by stand in cool (preferably very cold). The recommended duration is a debate, but I personally find it always feels better after any cold treatment regardless of the duration, the longer the better (and no one can really stand too long anyway!!). If you do not have access to a cool water way get yourself a bag of ice and throw it in a tub full of cold water. If you have the facilities or two garbage cans a full contrast bath to the lower body (~5 minutes in cold, 1 minutes in hot) or take a shower with a removable shower head and alternate spraying 1-5 minutes on a the cold setting followed by 1′ on as hot as you can tolerate. Moderate your hydration, keep drinking water mixed with electrolyte, until your urine is very light yellow or clear. Roll!!! No I do meet somersaults (though this could be a fun addition to a recover regime) travel with a small foam roller (and a lacrosse or tennis ball ). This can help to push metabolic waste, promotes circulation and can release tension in the muscle fascia. Sleep; yes, absolutely, take a nap if you can after the marathon. Pay close attention to sleeping as much as you can in those days after the marathon (I know I usually have a very restless night after distance races, so always pack my earplugs, ensure the darkest room possible and pack my personal pillow, when travelling). These are the proactive recovery steps I personally took last Sunday before, during, and after the Seattle Marathon. We were staying at a lovely AirBnB in Upper Queen Anne (a VERY hilly neighborhood in Seattle), so we smartly parked my car at the bottom of the hill before the race…. such a smart move!! It was a chilly 30F at the start so I packed a bag full of warm clothes, wool socks and Blundstones to change into after the race, and checked that bag. I personally always have a tough time eating directly after distance races but after the race I walked around for ~20 minutes, drank the remainder of my Tailwind in my pack and drank ½ of a protein/carbohydrate recovery drink that the race offered, part of this was walking to the bag check (entertainingly hobbled up stadium stairs) where I changed into my warm cozies! Within 30 minutes I was at home and in the shower doing a hot/cold recovery shower. I utilized the lacrosse ball we always travel with and rolled out my feet, calves, hamstrings and glutes for about 20 minutes. Within 90 minutes I had a small serving of leftover spaghetti and meat sauce for lunch (we purposely made too much the night before to make sure we had food on hand after the race), Later on I enjoyed my favorite combo of burger, salty fries and a beer at Betty (delish!!) (this is my own personal ritual). 2 hours later, I was still quite dehydrated so drank MIA (electrolyte) infused water monitoring the color of my urine until it was light yellow/clear. I slept for 9 hours that night, the morning after we went for a light 30-minute walk and deep squatted as much as I could (it wasn’t pretty), though my muscles were not too bad at all relative to races in the past when I did not practice a recovery regime. 2 days later I did a light 25-minute indoors elliptical and stretch, yesterday I did a light 30-minute walk run and today a light spin and, roll and walk. Clearly, no one is perfect including myself. I will always be looking to implement better and smarter tactics to my racing and training. After running personal best marathon this past weekend (3:33:04) , I will now continue to read my body, roll out my kinks, and receive . 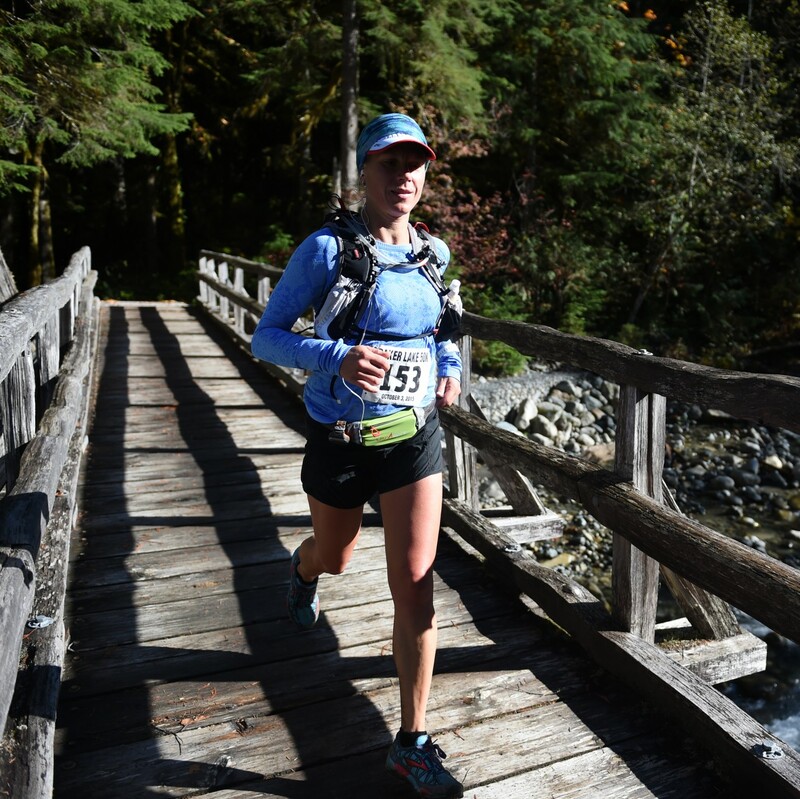 I will slowly implement light training and will tentatively plan to be back to a ~70% load of training within a couple of weeks gearing up towards my next race (Orca’s Island 50k at the start of February). I will continue to direct my body through a recovery regime and allow it adapt to the marathon I just threw at it this past weekend and see my fitness rise ABOVE! If you wish to read, here is my personal race report blog on the Seattle Marathon this year! Previous PostPre-Race Gitters…Next PostWhat doesn’t kill you makes you stronger.